Gorgeous photo. 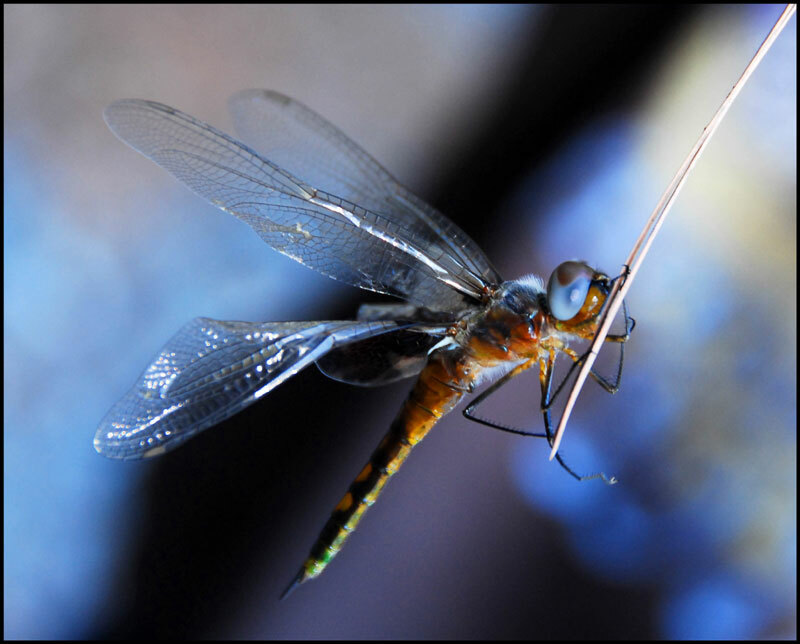 In Ojibwa belief dragonflies are the souls of the dead come to visit us on earth. Possibly other tribes share this belief. I know I am always happy to have a dragonfly or two or three visit me. When I was growing up, we were told that we should stay away from these marvellous insects because they would sew our eyes shut. I have come back to look at this photo again and again–I love dragonflies, but also the colors here are so rich, complementary. But I didn’t comment before because I’ve been searching my memory after reading Christina’s comment which brought back a vague memory to me of hearing dragonflies called darning needles as a child. . .?